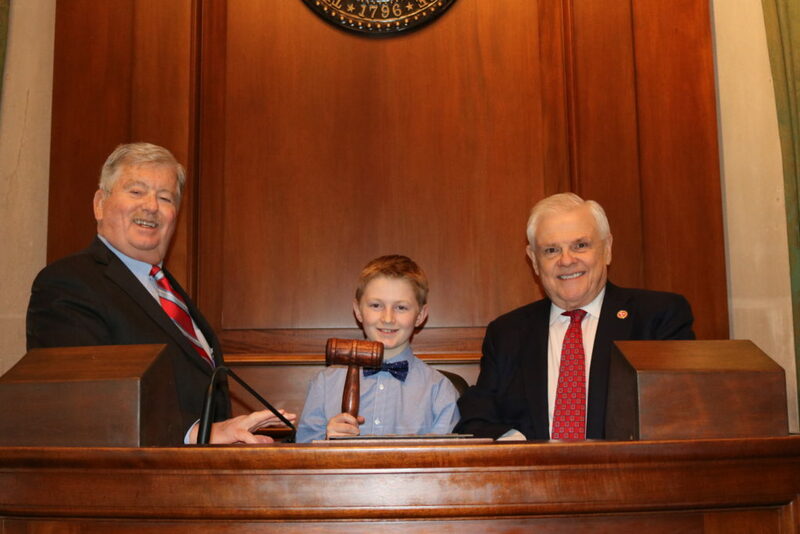 (NASHVILLE) –Sixth grade student at York Elementary School, Seth Tompkins, served as a page in the Tennessee State Senate this week. Tompkins lives in Allardt and was sponsored by State Senator Ken Yager (R-Kingston). See accompanying photos of Lt. Governor Randy McNally, left, with York Elementary School student Seth Tompkins, center, and Senator Ken Yager (R-Kingston), right.